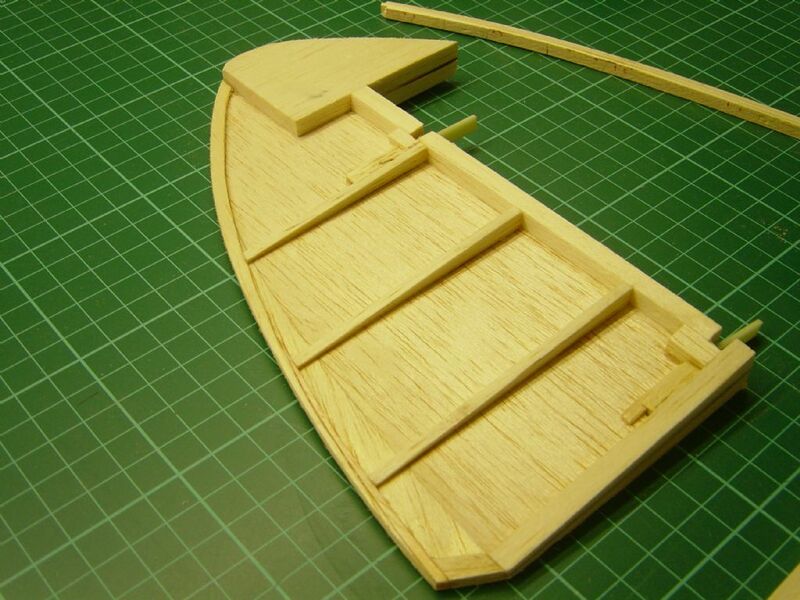 Started modeling in 1989, where I started with a DB Mentor kit (built on lap in the front room, wife not impressed). After that the box room was converted to a hobby room and a Trenton Terror (vintage kit) being built. This was followed by a plan built DB Aerobat which I would recommend as a follow on from a trainer, although small it would fly in all weathers. 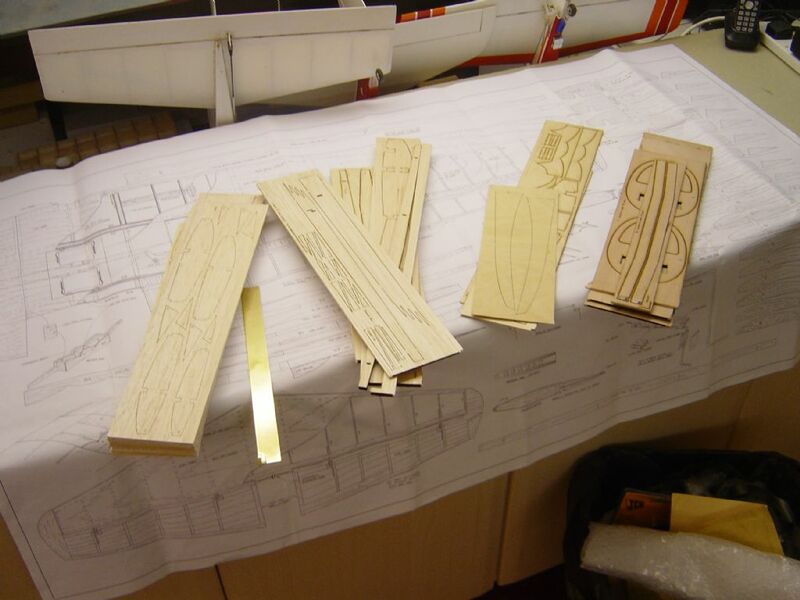 I then built a Cessna from an Eric Fernley plan, this model was built with no real detail but was a considerable step from the plans and kits I had built from. Not really understanding the importance of wing incidence or engine thrust lines, I continued and completed the model; the test flight did not last for long. It was after this experience that I started to try and learn a bit about model aerodynamics so I could understand what had gone wrong. I think that incorrect engine thrust line and too much positive wing incidence lead to a stall on take-off. So it was back to sports models (sig Astro Hog) this was built very accurately and measured during the build (lesson learnt), this model flew as if on rails. Several other models have been built since (loft converted to model room) and with each one I tried to learn something new either being in the build or type of model. And because off lessons learnt from the Cessna I do not tend to dread a test flight although always slightly nervous. This brings me to my current situation where I have not been really been active with my flying for more years than I would have liked, due to family and major DIY after house move. I have always been interested in scale but never successfully built or flown anything scale, the exception being a Cambrian fun-fighter. The sabbatical for family and DIY lasted for nearly 16yrs with very little flying and or building (where does the time go?). So at present I am back to a trainer and circuit bashing intend to get to the stage where I can be reasonable at completing the ‘B’ schedule. I intend to try flying pattern aerobatics, the intention being that if I’m comfortable with aerobatics then flying the scale models will be a little less stressful. Although the sabbatical was longer than I thought it ever it would be, it has left me with a greater desire to do build and fly scale models. My aspiration is to get to the stage where I can attend a scale fly-in with out being ashamed of either build or flying quality. Ideally I would also like to aim towards competing at the Nat’s. Intend to start the build at the end of October once the clocks change, there a couple of things that I would like to complete first. I have a flair Legionnaire that I would like to get covered, the small amount of detail can wait until after test flight. A SAS wildthing, this will hopefully help keep by hand in with the sticks once the weather turns? So why the chippy, well I have the RM plan that I had intended build, but have heard that there may be errors with the plan, so this was then relegated down the build list. So when this build appeared, it seemed that fate has taken a hand. So at some time in the near future I would like to end up with a model version of this. If the Mods are reading this could you please make it a header for blog? Yes, nice colour scheme SW. I think Danny F quoted someone saying that the scale stuff is 2/3s of the work. Not much for us to learn then! Thanks for that, hope I can do it justice. Build will be a bit of a challenge but the really work will start after basic air frame is completed. I plan to post my objectives for this build/blog just before I start and try and catch up with others. At present enjoying lurking and getting inspiration from all the other blogs. I look forward to seeing how you get on, any probs let us know and we will try and help. Have you thought where you will start? I normally start with tail feathers, which most people have done already. I then normally do the wing then the fuselage last, this allows that any adjustments for wing and tail feather alignment can be done to the fuselage quite easily. Hope to get further with this than my BT Kingfisher (tail feathers and two part complete wing panels). Although to be fair the only reasons that I stopped that build was due to a 4yr garden project (wife is happy though). I would have restarted the Kingfisher now but you came along with this chippy build and I think I (we) will learn quicker following you and other experienced builders. Also a great believer in fate. Hope to be able too meet some fellow chipertee'rs at Gaydon. A bit later start than planned, well a lot later considering that there are quite a few chippys that are nearly built. So what do I want to achieve with build? I intend this to be a model that could be used for flying only competitions and maybe a first attempt at stand (way) off scale. It will be interesting to see how long the airframe takes, past models have taken years for various reasons and I hope that by doing this blog this will change this into months. Presumably you are building the Dennis Bryant Chipmunk like lots of other people, however the heading says Chipper-too which seems very like Chippertoo which is a different plan by Brian Peckham RM219 from MyHobbyStores. 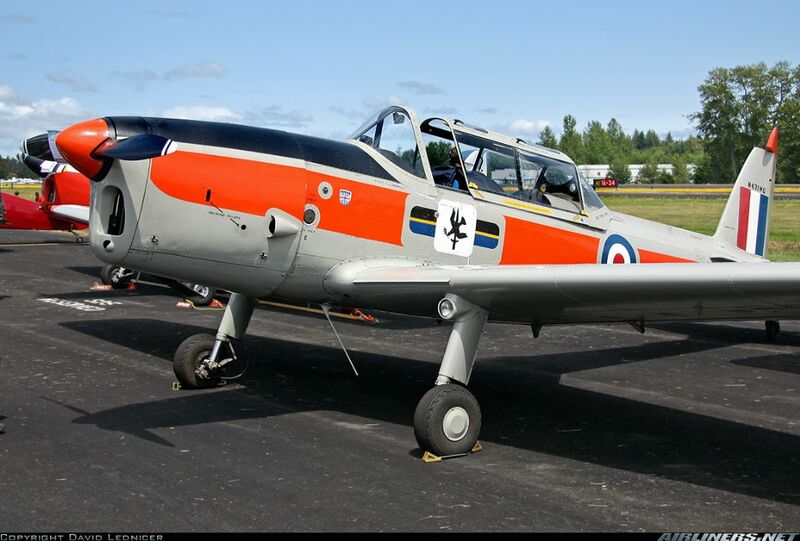 The Chippertoo looks rather like a Super Chipmunk but I think its just a sports model and not really scale. Could be confusing! Note there is another Brian Peckham design with a very similar name -Chipperoo RM129. again a Chipmunk lookalike but just a sports design. Looking forward to it, have learnt quiet a bit by reading other blogs. It's good to see another blog starting up, love reading them, you keep picking up bits all the time. Rudder built, but needs to be sanded once fin has been built. Fin LE has been laminated and has stayed in shape. 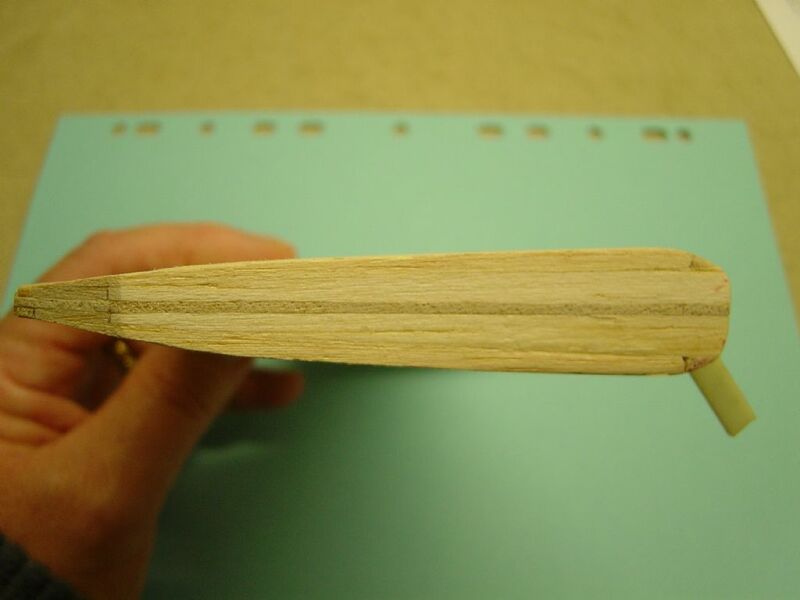 A new tail plane spar as been cut (as John suggested) due to the original been warped. I did try to remove warp after soaking it in water and pinning to building board. This had little effect in fact it made it worse. A little frustrating this week has i hoped to have progressed a bit further. It also has become apparent that my expectations far outweigh my building abilities, however i think this will change as the build continues. 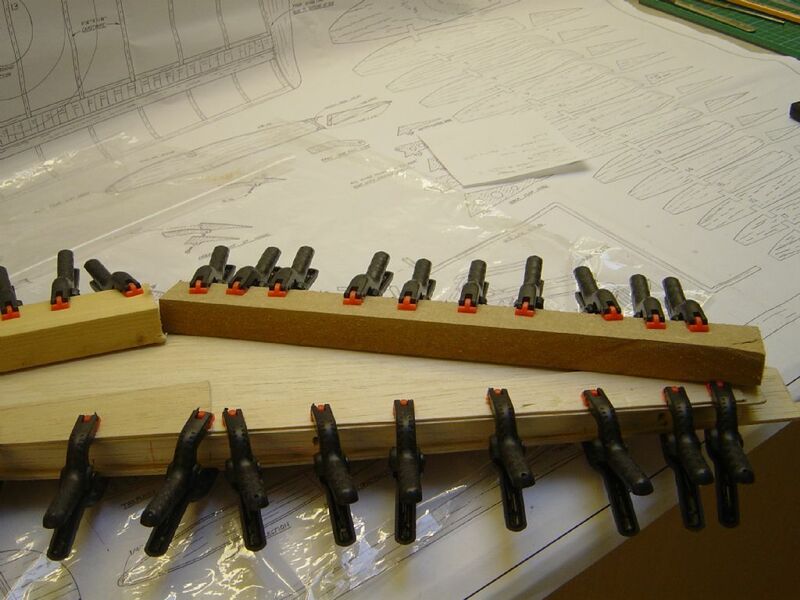 It has been quite a while since i have done any building and i know i that i have learnt a few lessons in just building the rudder. 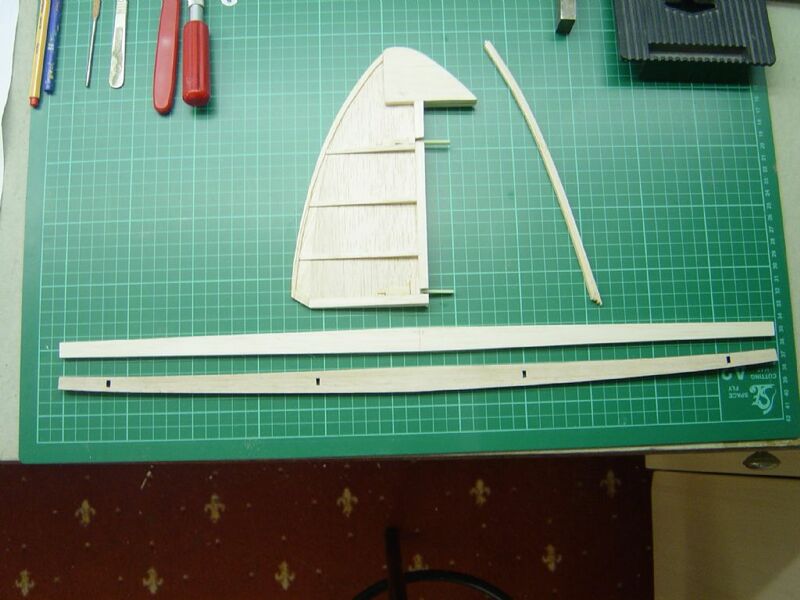 Fin now built but will leave rounding off the LE until ready to assemble to fuselage. 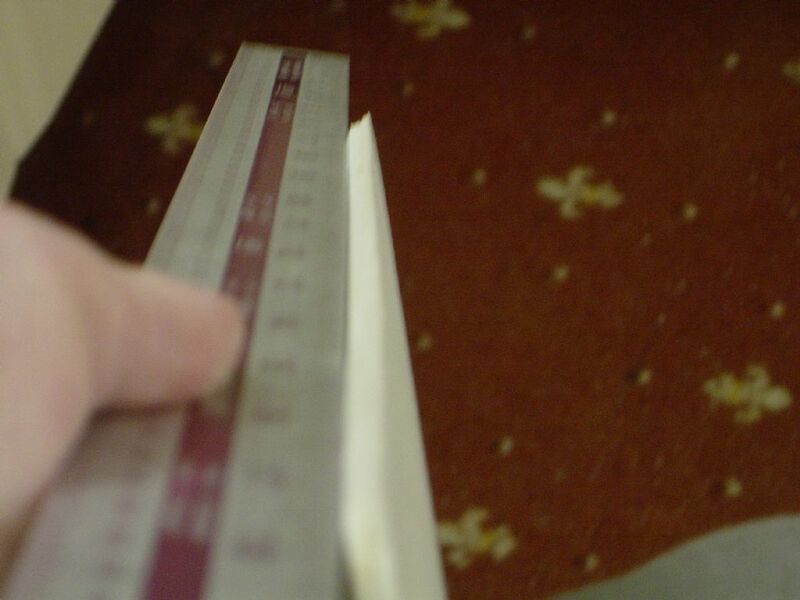 To get an even surface for the sheeting i tend to use a sheet of sandpaper double sided to a bench or large sheet of MDF. 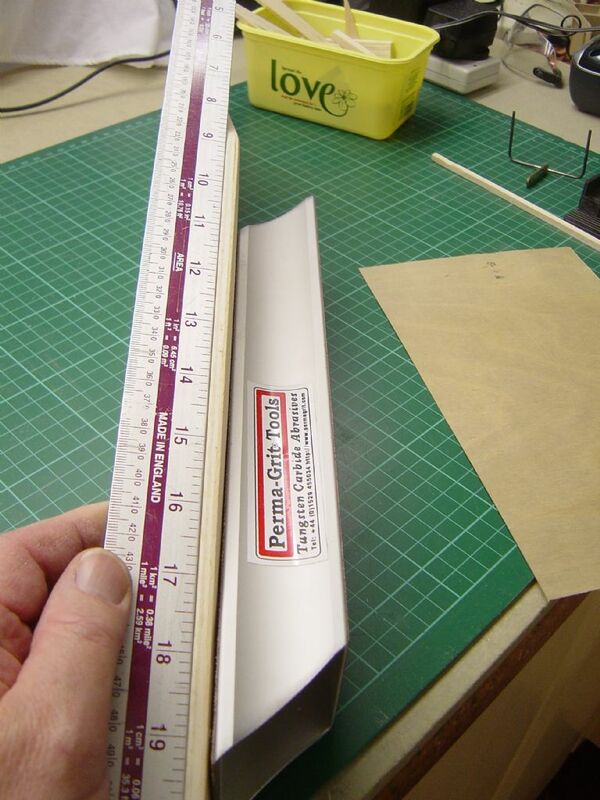 Even after reading blogs did not check rudder thickness (doh) and guess what? Need to added some material but now have a rudder that matches the fin. The laminated and pre bent LE for the fin worked a treat. 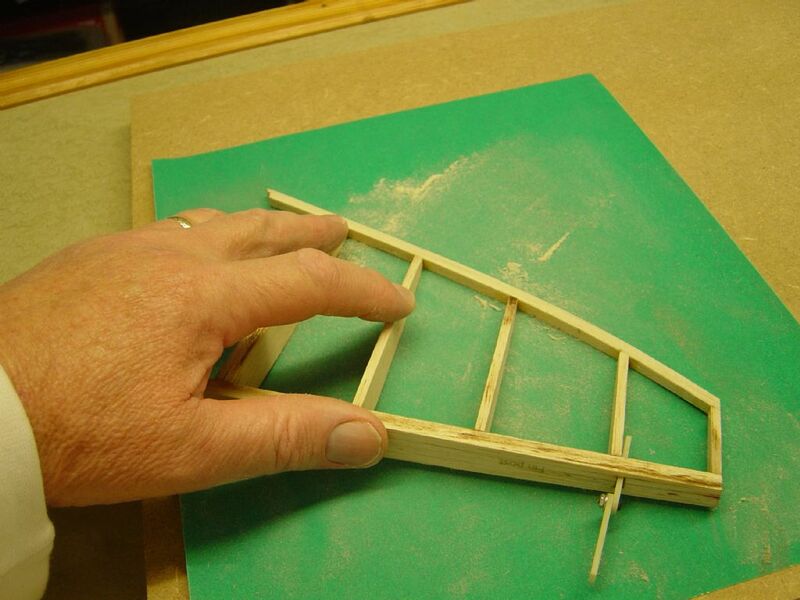 I have given the leading edge an initial rounding and have yet to fit the shrouds, how much movement is required for the rudder and how much overhang for the shroud? The tail plane has been made (built vertical)but that caused quite a few steepness nights on trying to get rid of a small warp (only a 1mm at the centre) after adding bottom sheeting. 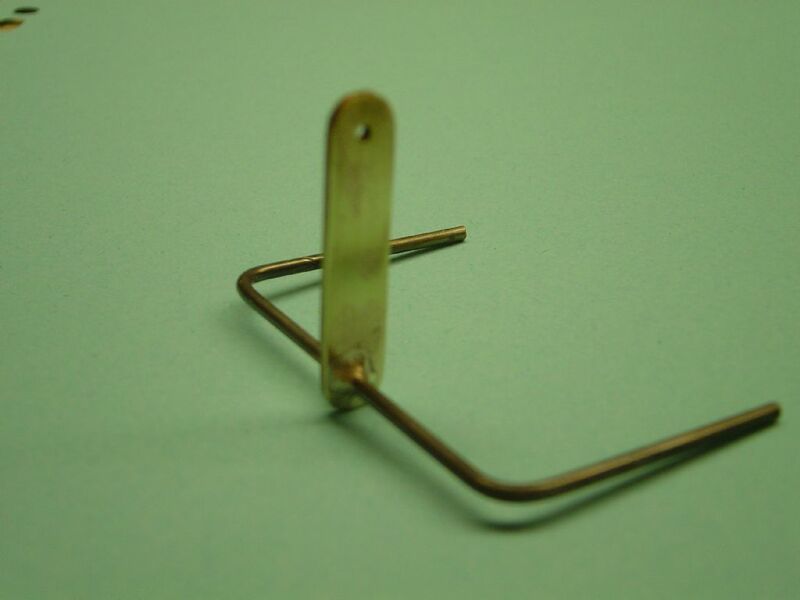 I soaked with water and pinned to the board, also done the same whilst using ammonia. Without the LE or the sheeting it is very delicate! After much deliberation I decided to fit the top sheet and have another go at getting rid of the warp and unless it got worse would try to live with it as it was very small. After using plenty of clamps (thanks to seeing those on other blogs) and some substantial timber we ended up with a nice straight tail plane. Reasonably happy with tail plane so far (If I trouble with tail plane can't wait for the wing) and will start the elevators next week. I have already made the joiner (silver soldered) and its not to bad. After Xmas will have a different camera then hopefully some of the close ups will be in focus. The only trouble with that any dubious building will be there for all to see. If anyone has the details for the amount of movement for the control surfaces then that would be really helpful.